Anxiety and depression are often related. Although the symptoms of anxiety and depression may seem unrelated, they often co-exist, and many symptoms of these two disorders overlap. Out of 100 patients diagnosed with depression, over half will also have an anxiety disorder. Having some anxiety can be a good thing! Many view anxiety negatively. But, what many don’t realize is that it plays an important role in stress response. Stress is connected to our ‘fight-or-flight’ response, which motivates us to act when needed. For example, the anxiety triggered in anticipation of final exams motivates a procrastinating student to study for fear of failure. When people are exposed to anxiety, they adjust by developing a ‘protective pattern,’ such as reaching out to others for support or doing yoga or some other relaxing activity, which can in turn alleviate their stress. In cases of severe depression, patients can experience psychosis. Psychosis is a break in connection with reality. Psychotic symptoms sometimes seen in depression include hallucinations (hearing voices that others do not), delusions (beliefs held with strong conviction that are clearly false), cognitive impairments (difficulties remembering, concentrating and making decisions), and unusual or disorganized thinking (inability to connect thoughts in logical sequence or disorganized speech). 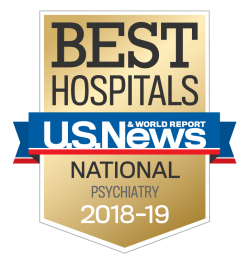 The estimated prevalence of psychotic depression in the general population is 0.4%, while among patients already diagnosed with depression, this rate is higher: 15-20%. Antidepressants are not ‘happy’ pills. Contrary to popular belief, antidepressants do not work by simply making a patient happy. Antidepressants likely work by adjusting chemicals in the brain, which decrease the severity of depressive symptoms. They modify how an individual responds to stress, and can help patients deal with a negative event reasonably instead of responding with complete devastation. Antidepressants do not change one’s personality. Many patients describe the effects of antidepressants as a ‘dark cloud’ being lifted. Talk therapy is not simply listening to patients go on and on. When you think of talk therapy, you probably envision a patient lying on a couch and talking about their problems to a ‘passive’ therapist who is present only to provide a listening ear. Although therapy does involve listening, the role of the therapist is a very active one. A good therapist listens in order to learn the underlying core problems in the patient’s life. The therapy session provides a safe environment where these issues are dealt with, and provides a corrective experience, where the therapist helps the patient learn how to recognize their own distorted thought patterns and blind spots, and how to use healthy coping skills to deal with stressors. The therapist then teaches the patient to use healthy coping skills to deal with stressors. Unlike what you see in the movies, ECT (electroconvulsive therapy) is one of the safest and most effective treatments for severe depression. ECT, also known as shock therapy, is often overlooked with a preference for medications in the treatment of depression. However, research shows that ECT can be significantly more effective than medicine in reducing depressive symptoms. ECT is also considered one of the safest methods of treatment, and is frequently used to treat severe depression in pregnant and elderly patients. Smoking can affect how psychiatric medications work. Most medications used to treat psychiatric disorders are processed by the liver. However, in certain cases, tobacco smoke can increase how quickly your liver does its job, as your liver tends to work faster when ingesting tobacco smoke. This increases how fast medications are broken down and cleared out of the body, which ultimately decreases the effectiveness of certain medications. This means that many patients who smoke may need a higher dose of the same medicine in order to achieve the same effect as a patient who does not smoke. Did you learn something new from this post? Let us know in the comments below! Munachim I. Uyanwune, M.D., has been a clinical psychiatrist in the Adult Day Hospital at Sheppard Pratt Health System since 2014, and did part of her training as part of the University of Maryland/Sheppard Pratt Residency Training Program.